Visit the Karidi beach for an alternative sports and fun experience discovering Sea & Mountain sports. Come alone, with your friends or family and join us for lessons, rentals and guided tours. There is always something fun to do! 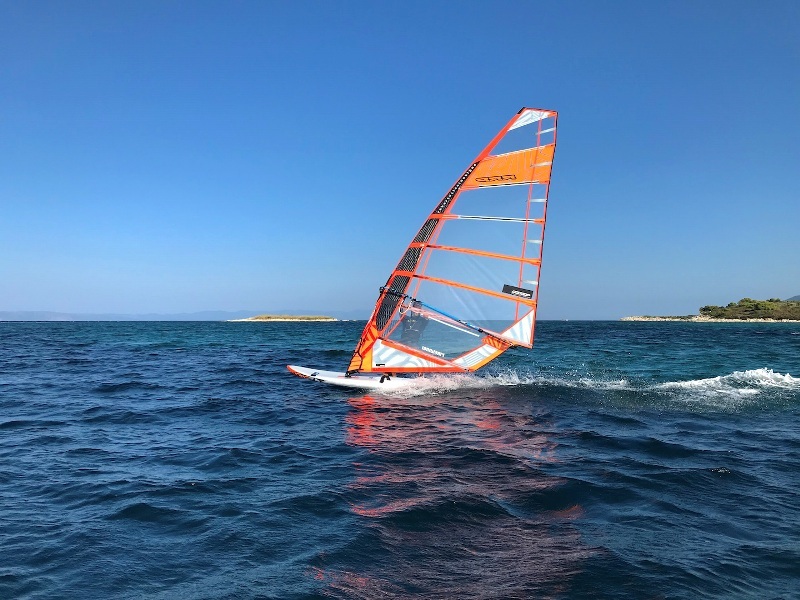 WINDSURFING: Easy & fun. 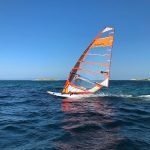 Rent the latest windsurfing equipment or take a lesson. All ages and levels are welcomed. SAILING: Listen to the wind while sailing around. 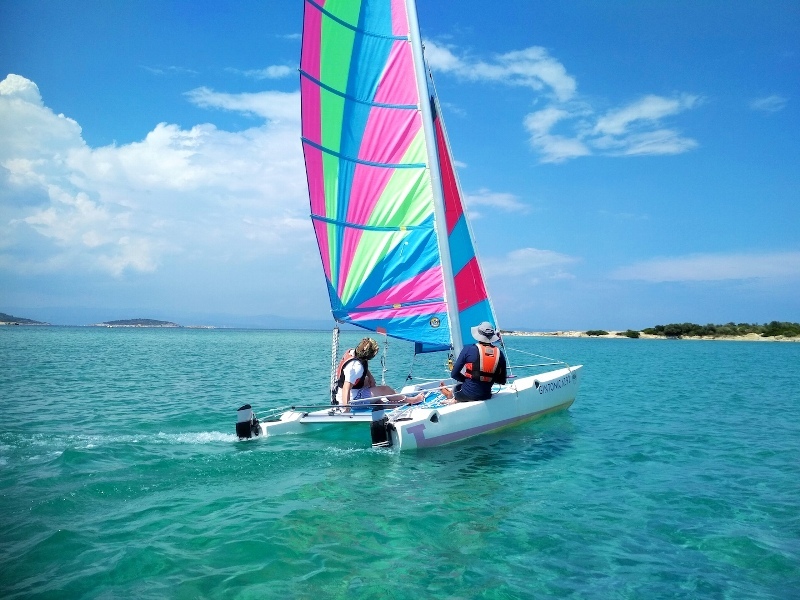 Choose a dinghy or catamaran. 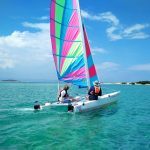 Perfect for kids and adults to learn how to sail. We offer rentals and lessons. MOUNTAIN BIKE: Ride a bike and enjoy nature! It’s a holiday and the views are amazing. We provide you with the most suitable bikes and safety equipment, offer guided tours or daily rental. SUP: Join the fastest growing water sport worldwide! 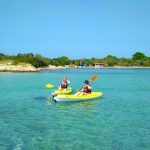 The perfect way to exercise and balance yourself while discovering the crystal clear waters around Vourvourou and Diaporos island. 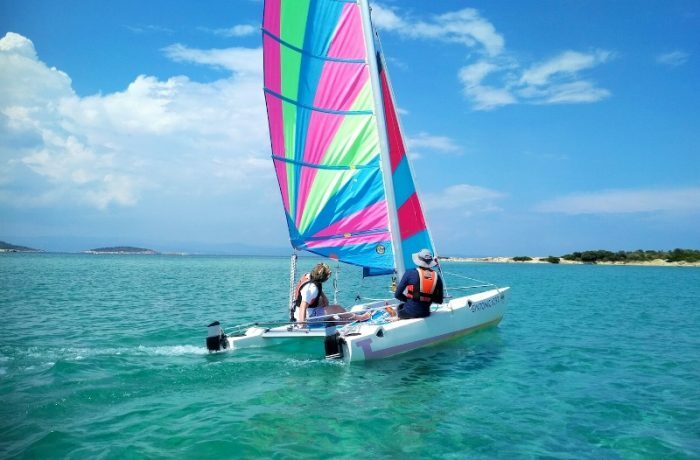 SURFING: Yes, there are waves in Halkidiki! Everyone can learn to surf, we have specialized training for all levels and ages. Are you ready for your first wave? KAYAK: Explore the nearby beaches and find your personal little paradise. 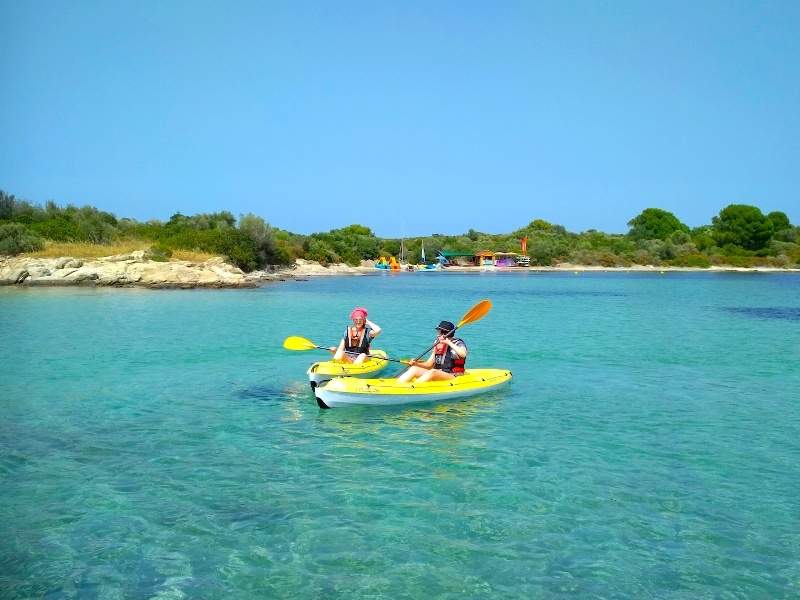 You can rent one or two-seater kayak or book a guided tour. PADDLE BOAT: Take your friends or family and cruise along the coast or nearby islands with our 4-seater paddle boats (equipped with water slide). Our “swimming pool conditions” make your tour super safe and enjoyable. SNORKELLING: Explore the unique underwater world of Vourvourou using our easy-to-use snorkelling kit.